Fishers trained in data collection can reduce costs and improve fishery assessments and management. A data collection program was conducted with small-scale Indonesian sea cucumber fishers to evaluate the approach and capture its benefits. 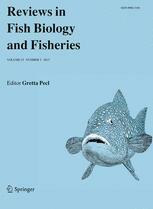 Catch data recorded by fishers demonstrated much higher abundances than estimates obtained using standard visual transect methods and accurately reflected the true catch composition. At the same time, the data showed extreme rates of exploitation. Despite the program’s achievements the findings have not resulted in improved management nor had any direct benefits for the participants. In order to sustain the program in the longer term, it's necessary to increase the awareness about the value of such program.